This set is worth the buy, all the books tell a horrific story it is set with tragedy, heartbreak and bravehearts. The stories are so real they really make you think. So i definetely reccommend these books. i only from pack (farm boy) and it was amazing keep on writing michael!!!! An amazing set by Michael Morpurgo. All great books. 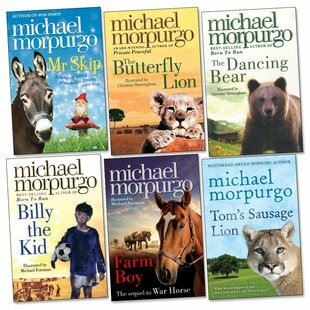 Michael Morpurgo is an amazing author, no wonder he’s so popular! I have read Born to Run, War Horse and Private Peaceful, which are all written fantastically. If you buy one of his books, you won’t regret it!